At Dalton Carpet, delighting our customers is our top priority. We’re Lane Counties number one floor covering store. 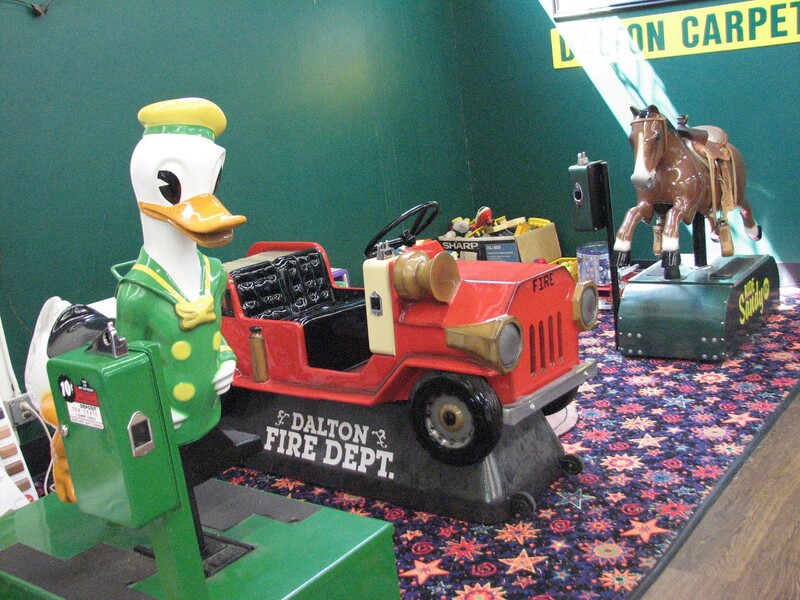 Dalton Carpet is a Local family-owned and operated business, and we’ve been helping customers with their carpet, vinyl, laminate and plank flooring since 1996. Discover the Dalton Carpet Difference! We’re happy to work with all types of flooring projects, and we always respect your budget. Remember, at Dalton Carpet, estimates are always free. The flooring pros at Dalton Carpet are here to help you with new carpet, luxury vinyl tile, and plank flooring products as well as traditional vinyl and laminate flooring. From sales to professional carpet and flooring installation, let the Dalton Flooring Pros help make your dreams come true! We always carry over 600 rolls of carpet, ready to install. Stop by our showroom at 3815 West 11th in Eugene and see Lane County’s largest selection of colors and styles of carpet. The industries’ hottest new trend is luxury vinyl tile and plank products. Available in hundreds of colors, styles, and patterns – there’s sure to be one that you love. All 100% WATERPROOF, TOUGH, LONG LASTING and eco-friendly. Authentic wood & tile textures. A huge selection of long-wearing classic and economical vinyl and laminate flooring is always in stock and ready to install at Dalton Carpet! Dalton Carpet was opened in 1996 by Rocky Stevens Sr. Sons Robert and Rocky Jr. joined the operation in1998, and today they run the day to day operation. Rocky Sr’s philosophy is to work with the manufacturers directly, buying premium quality carpet and flooring when they have their best sales, so he gets the best price possible; then the Dalton team passes those savings on to you. At Dalton Carpet, we own every piece of carpet and flooring you see in the store, with hundreds of full rolls and tens of remnant rolls along with thousands of square feet of laminate, vinyl and luxury plank flooring. This means you can buy today and take it home today or, take advantage of our installation services and always at the lowest prices!